Heart Of The Storm is licensed under a Creative Commons Attribution 3.0 Unported License. Permissions beyond the scope of this license may be available. Posted to Flickr on 13 February 2010. 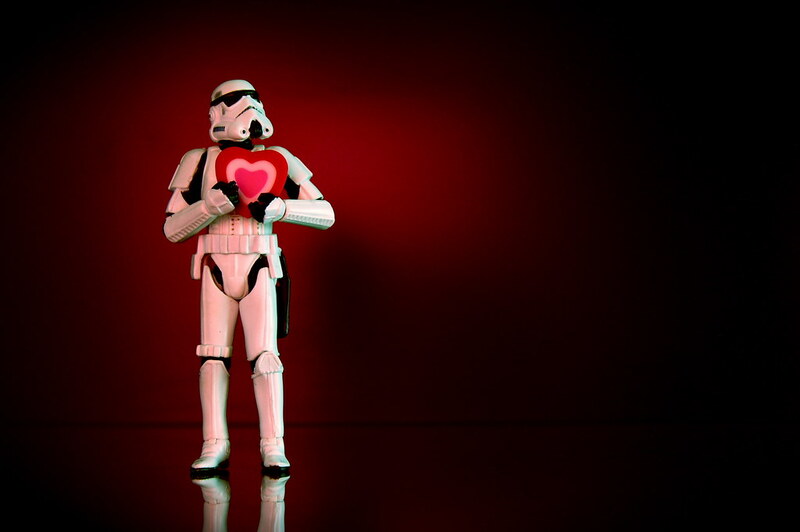 Part of the Stormtroopers series. Included in my Portfolio. Happy Valentine’s Day to all of my Flickr friends, especially my wife Leslie! 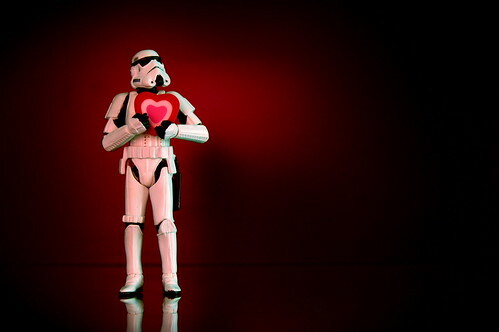 See my other Valentine’s Day stormtrooper photo: "Be Mine"
This photo was posted to Flickr on 13 February 2010. It was one of 500 images featured on Flickr Explore for that day. The last time I checked, it had 28,176 views on Flickr. Heart Of The Storm by JD Hancock is licensed under a Creative Commons Attribution 3.0 Unported License. Permissions beyond the scope of this license may be available.